Jussie Smollett is the face of a new effort to save young LGBTQ lives across the U.S. The “Empire” actor and singer, 36, has teamed up with the Trevor Project, a well-known LGBTQ advocacy group, for its “How to Save a Life” campaign, unveiled Monday. 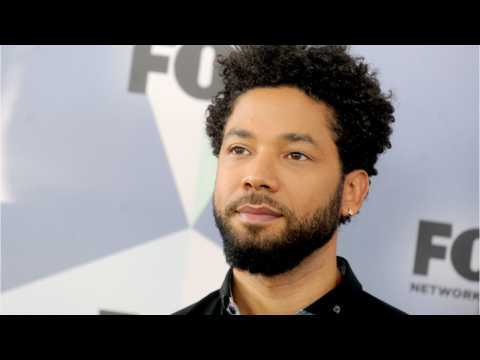 Smollett appears in a video aimed at encouraging supporters to apply to become volunteer crisis counselors for TrevorText and TrevorChat ― the group’s text and web chat support services for queer youth. “It’s heartbreaking to think of the amount of LGBTQ youth out there who feel hopeless and alone, or think they don’t have support,” Smollett said in a press release. “Just one supportive person can decrease an LGBTQ youth’s risk of suicide by 30 percent, and The Trevor Project is giving everyone the amazing opportunity to be that person.” In June, AT&T announced it would contribute $1 million to the Trevor Project ― the largest reported donation in the group’s history ― as part of a multi-year “Turn Up The Love” initiative. LGBTQ youths remain nearly three times as susceptible to suicidal behavior as their heterosexual-identifying peers. An estimated 34 percent of queer kids have also said they face bullying in school ― which is why having outspoken role models like Smollett matters more than ever, Trevor Project CEO and executive director Amit Paley told HuffPost. “It’s so important for LGBTQ young people to see that they have support in and out of the home,” Paley said. “We hope to encourage more people to volunteer with Trevor to support the growing number of LGBTQ youth in crisis reaching out to us for help.” If you or someone you know needs help, call 1-800-273-8255 for the National Suicide Prevention Lifeline. You can also text HOME to 741-741 for free, 24-hour support from the Crisis Text Line. Outside of the U.S., please visit the International Association for Suicide Prevention for a database of resources. According to Reuters, Chicago police officers on Monday called for Cook County State’s Attorney Kim Foxx to resign after her office dropped felony charges against actor Jussie Smollett last week. About 300 people, including off-duty Chicago police officers, gathered in front of Foxx’s office wearing “Foxx Must Go!” buttons and carrying signs reading “Resign now." Smollett was charged in February with staging a hate crime against himself and filing a false police report. Prosecutors dropped all charges against Smollett on Tuesday without informing police of the decision ahead of time. 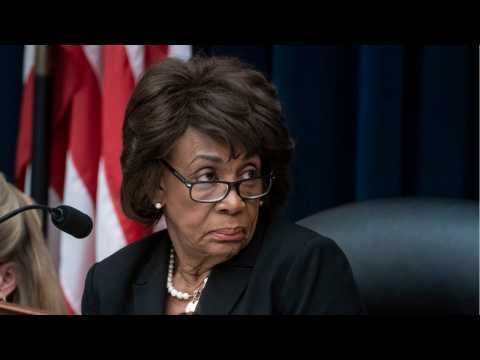 Before charges were filed against Smollett, Foxx recused herself from the case because of conversations she had about the incident with one of Smollett’s relatives. An Illinois lawyers group said prosecutors have misled the public on why Jussie Smollett's felony charges were dropped. According to CNN, Smollett first claimed he was a victim of a hate crime, then was charged with making false claims and now has had the charges dropped. Instead of being charged for 16 charges of allegedly creating a false attack on himself, the actor agreed to pay a $10,000 bail and complete community service. While the courts may be okay with this deal, Chicago is not happy with the whole situation and want Smollett to pay $130,000 to cover the cost of the investigation.